My Dad L. (Army), my husband J. (Navy), my sister P. (Marines), son E. (Navy) and son N. (Army). Son J. (Navy) and nephew Steve (Air Force). From the oldest to the youngest, they have served in WWII, Vietnam, Operation Iraqi Freedom and Operation Enduring Freedom. Thank you all. You do us proud. Today is Veterans Day, the one day out of the year that is specifically designated as a time to honor those who serve our country. But Bill Knight, Jerry Mundy, Joan Gaudet and the rest of the Maine Troop Greeters honor veterans and military members throughout the year by greeting them at a tiny airport in Bangor, Maine. In fact, they've greeted over 900,000 soldiers to date! These senior citizens have take it upon themselves to greet every troop plane arriving or departing Bangor, which is the last and first piece of U.S. soil many GIs will see before and after their deployments. The Way We Get By, which tells the stories of Bill, Jerry and Joan, airs tonight on PBS at 9 PM (Check your local listings). In connection with the premier of "The Way We Get By", PBS online has relaunched its "POV - Regarding War" site and I will be contributing my thoughts and responding to readers' comments for the next next few months. The site's relaunch is an effort to bring a wider audience to the experience of military service -- especially on Coming Home -- as seen from the Point of View of a Vietnam War veteran, an Iraq War veteran, a military spouse, and a mom. I hope you will tune in and see "The Way We Get By" and stop by the POV site and read and comment on the conversations there. People not only will have the opportunity to comment on the contributions on the "Conversations" area, but to share their own stories, as well. Wow, do you look proud, or what? !!! Give those great, wonderful men a huge hug from me, hubby too. I am so deeply grateful to them, and all our men and women who are, and have been in our military, and their families..... especially their families. May God watch over them all. I was so moved by the trailer for "The Way We Get By" that I ordered the DVD. Usually I try things out on Netflix first, but this I already knew I was going to watch again. I watched it last night. Well, I had to rewind several times so I could dry the tears in order to see. 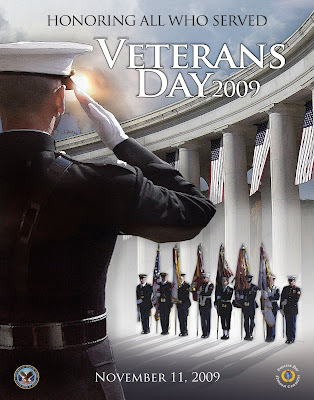 I think I'll watch it again tonight in honor of our veteran, and of the three main greeters in the film, who can teach us how to live our lives by serving others. God love them. You have a lot to be proud of. We put together a new, military news aggregator and we thought you may enjoy it because it makes following the U.S Armed Forces easy. Actually, there really is no other site quite like it. Hey there! Let me tell you I LOVE, LOVE, LOVE your blog! I have been following off and on since I found you about a year ago. I finally added you to my blogroll so I can follow you regularly. My son is in Iraq. I remember seeing awhile back about some package ideas. I couldn't find them this time. I was looking for a Thanksgiving box. Do you have a link to your posts on this? Bravo to a brave family and THANK YOU! Attention SecNav!!! Calling all Sailors!! !